Lets Hike through a handful of matchless Waterfalls! 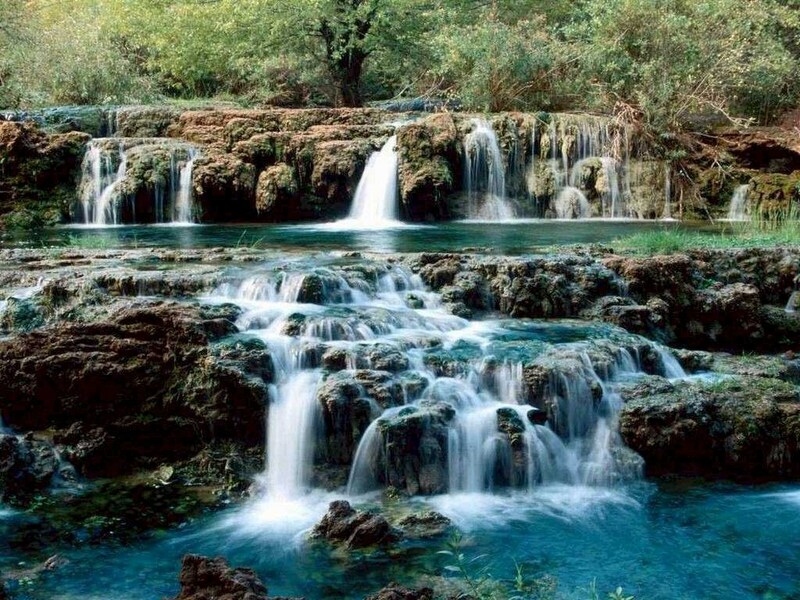 Waterfalls, Rivers, Oceans and Lakes have always attracted mankind since the very first man would have driven down to a river and enjoyed its silently flowing stream along with the cool breeze and the beautiful trees and greenery all around. Wrapped with an adventurous experience along with a soothing and relaxing memory the waterfall have always been one of the most unbeatable holiday destinations leaving a never lasting impression on the visitors. Victoria Falls: Located at the frontier of Zambia and Zimbabwe Victoria falls is one of the largest waterfall in the world. This massive fall has been founded in 1855 by David Livingston and was subsequently named after Queen Victoria’s “THE VICTORIA FALLS”. 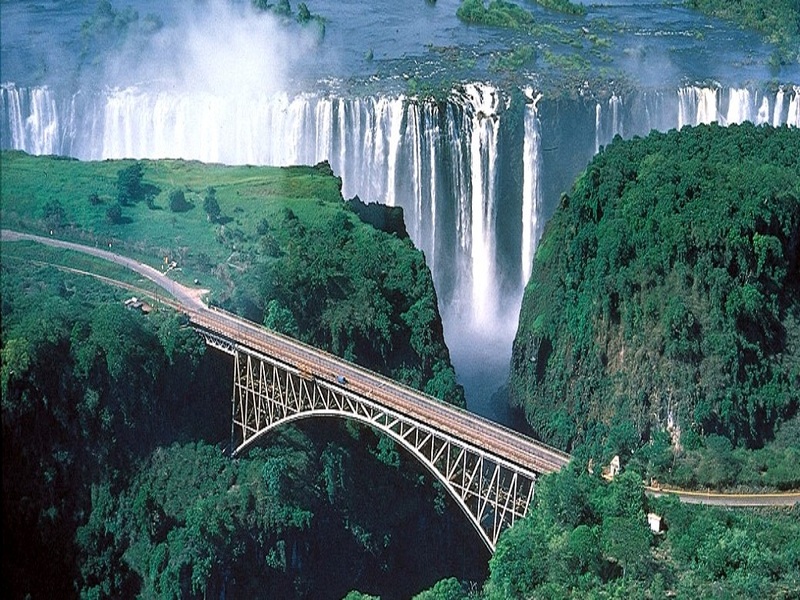 The fall is generated by the flow of river Zambezi and is one of its only kinds, 1 Kilometer wide and 100 meters deep. The waterway is so enormous that the descending water could be heard from a long distance and it can be seen from around 50 meters distance. Besides all there is a track of almost 40-45 minutes before we can actually reach up to visualize this fall known as the largest waterfall in the world. 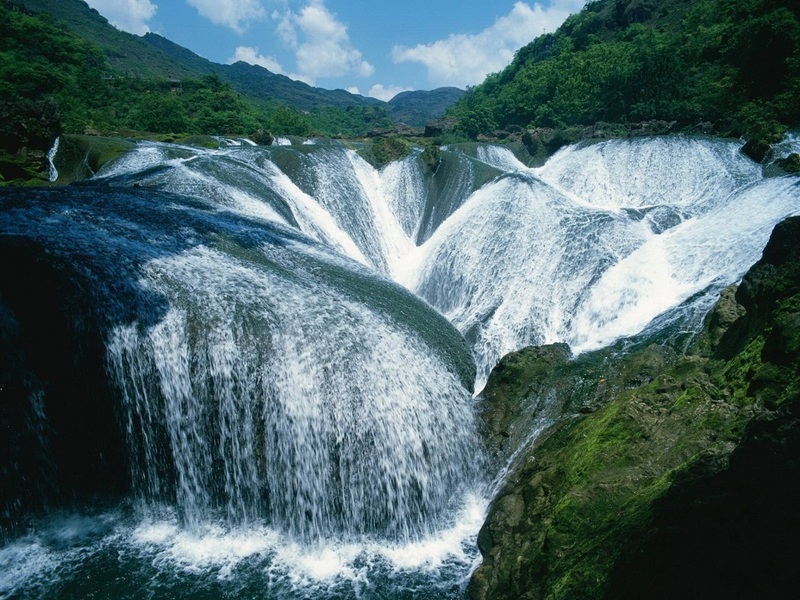 Pearl Shoal Waterfall: Located in the province of WESTERN SICHUAN, ie China, the waterfall is an amazing and one of the most unique falls in the world. Running at an altitude of 2,433 meters from the ground and 162.5 meters wide the fall is one of the best tourist attractions in Sichuan. The waterway comes out from two lakes including The Mirror Lake and The Gold Bell Lake. The fall is in a form of cascades of waterways running into a single stream and the added beauty of alpine forests behind gives it an excellent scenic look. 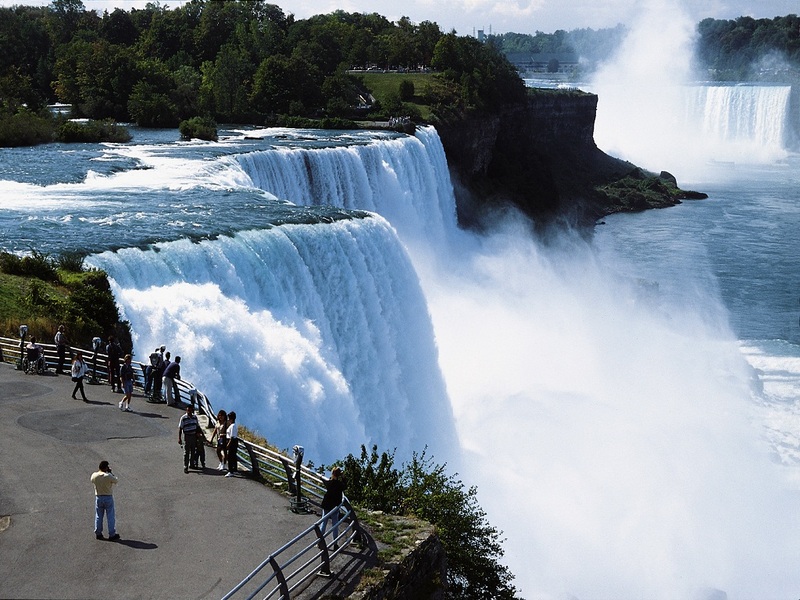 Niagara Falls: Not just a waterway but one of the best place for adventure sports and fun, Niagara Falls located in Ontario, Canada is well known for its Hiking and Picnic areas. Before you move on to the fall there is wide area for walking and enjoying the woods around. The place is full of greenery and Totem Poles. Besides, there is wood carved park as well nearby to the fall adding to a complete picnic for a family. A lot of biological and geological life forms can be explored as well near to the fall in the park around the area. So when you plan a trip to Niagara Falls, it would definitely be a complete package including Picnic, Hiking, adventure, fun and knowledge. I would surely not want to miss any of these amazing and exciting waterfalls to visit while I plan my vacation. What is your Plan? 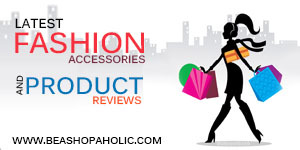 Previous PostWhere have you planned your holiday this Monsoon?Next PostTravelling and Exploring the Planet Earth! Beautiful colors. The silky water and the overall impact of the image are top notch.